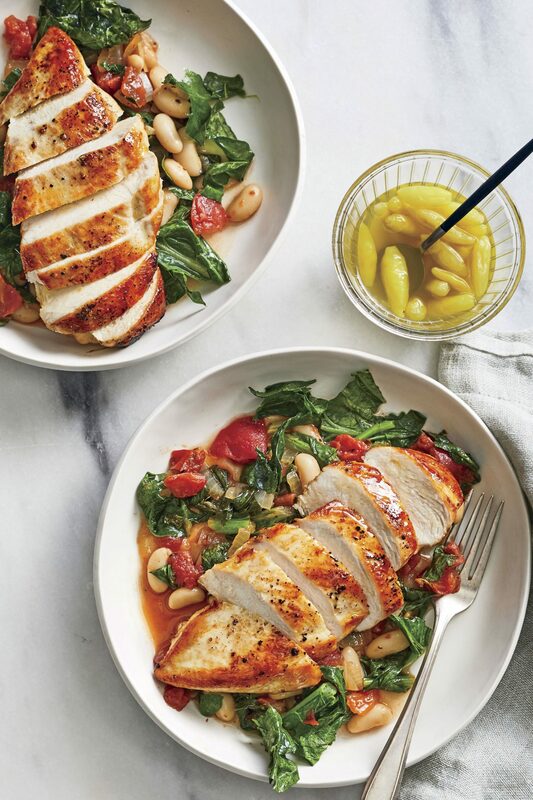 Turn your dinner table into an Italian restaurant with these easy chicken recipes that are perfect for weeknight dinners and entertaining. A julienne peeler creates lovely "zoodles," but may we suggest a spiralizer? It works like a pencil sharpener, turning veggies into noodles (look for them at kitchen stores and amazon.com). Incorporate more vegetables into your weeknight menu with Fettuccine with Chicken and Squash—a variation on a favorite Italian classic. If you’re selecting a dish to serve to company, you can’t miss with this classic Italian chicken dish. 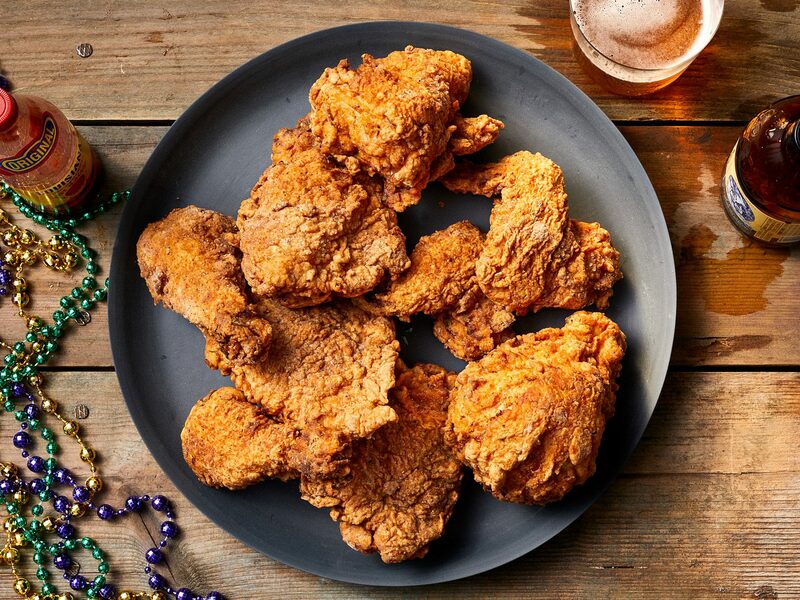 This version is particularly tasty because you coat the thin pieces of chicken in a mixture of flour and ground pecans. Make a main dish meal of rice by adding chicken, asparagus, zucchini, herbs and cheese to a a creamy risotto. The online audience loves this Real Simple recipe, and one reviewer claims "When I make this dish it's like Giada came to my house and made it herself!" 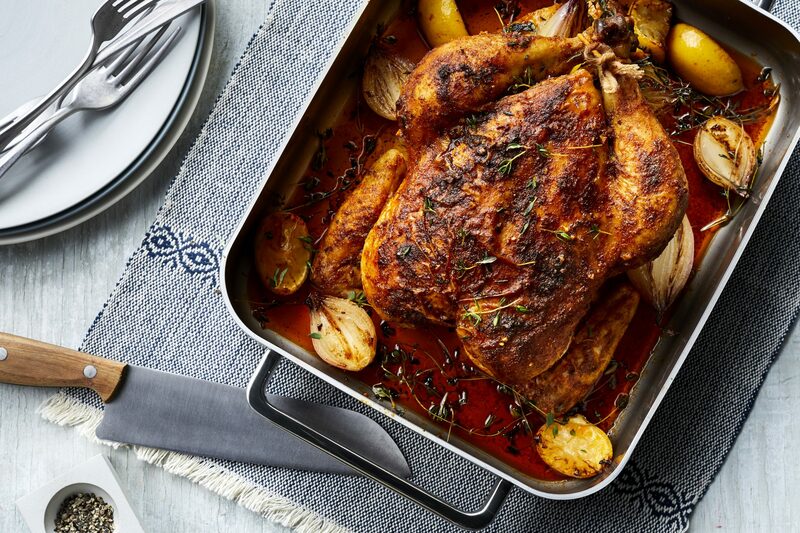 This savory Italian-inspired recipe is a wonderful way to prepare a budget-friendly whole chicken. Fresh rosemary, cannellini beans, and canned diced tomatoes make this dish flavorful, yet simple to prepare. We like the fennel flavor of Italian sausage, but any chicken sausage will work. Artichokes and chard amp up the health factor of this heartwarming soup. Top creamy parmesan polenta with a spicy tomato sauce filled with fresh herbs and sun-dried tomato chicken sausage. Reserve the garlic skins, leftover herbs, and roasted bones for the slow cooker stock in Dinner 3. And be sure to save the chicken skin and one of the chickens, as directed in steps 2 and 4. To make this classic Italian recipe, brown thin pieces of chicken in a skillet, deglaze the pan with lemon juice, wine and capers, and serve over pasta. 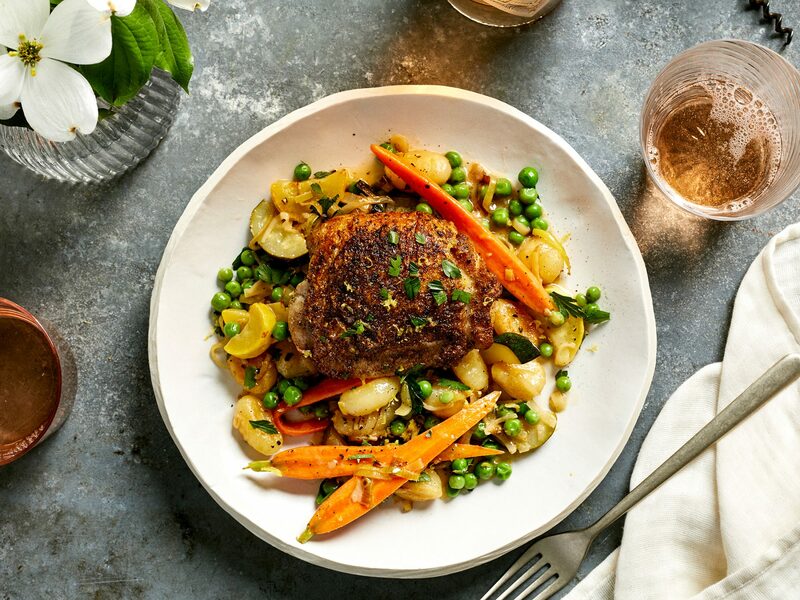 It's easy enough for weeknight family fare, but special enough for company. Take a shortcut with this classic Italian dish and use a jarred pasta sauce instead of making tomato sauce from scratch. Mixing herbs into the breadcrumb coating is an easy way to add extra flavor. Making calzones is easy when you start with a can of refrigerated pizza crust dough. Because this recipe features ground chicken breast in place of ground beef, it's lower in fat and calories than a traditional meat-stuffed calzone. Make a simple salsa with fresh tomatoes, basil, balsamic vinegar and a splash of orange juice, and spoon it over grilled herbed-marinated chicken breasts. This rustic meal is cooked in one skillet in about 20 minutes, making it ideal for a quick weeknight dinner. Pantry items such as canned tomatoes, canned chickpeas and bottled minced garlic keep the preparation simple. Simmering the chicken pieces in tomatoes, olives, golden raisins, balsamic vinegar and basil provides the flavors of Sicily in this one-skillet dish. 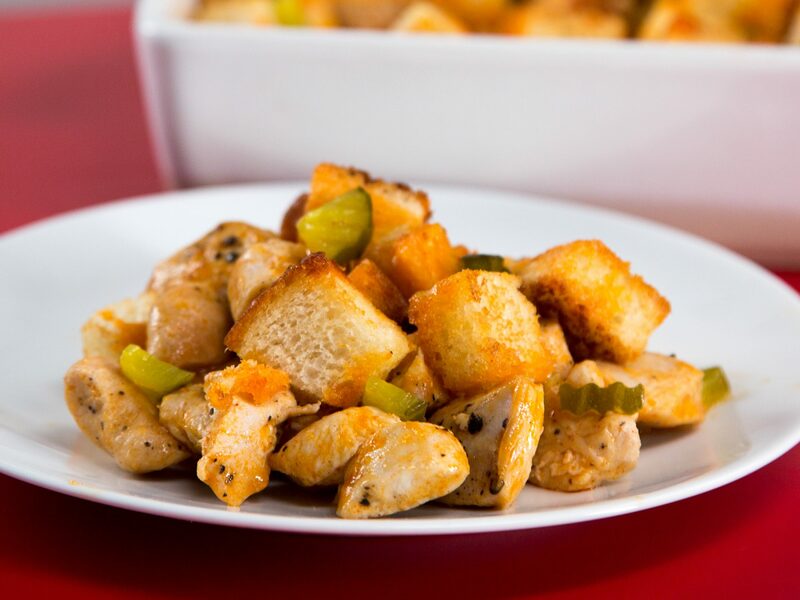 Scatter croutons around the chicken, then spoon marinara sauce, and top with cheese. Bake until cheese is melted and bubbling. Stuffing chicken breasts with a mixture of sausage and breadcrumbs is a great way to turn plain chicken into an extraordinary entree. Pesto and pasta are two quintessential Italian ingredients, and when you combine them with tomatoes and chicken, you've got dinner. One of the easiest ways to add Italian flavor to chicken is to coat it with Italian-seasoned breadcrumbs and serve with an herbed tomato sauce. The sauce in this recipe uses pantry ingredients that you probably already have on hand. Top sliced chicken with onion, bell pepper and cheese, and serve on focaccia bread for a quick and easy main dish sandwich.